The Bahamas is one of the most prosperous nations in the world (Third highest GDP per capita in the Americas, behind the US and Canada), with an economy, much like the Cayman Islands, primarily dependent upon tourism and finance. The population, not much larger than 350,000, is 85% black, 12% white, and 3% Asian and Latin American. 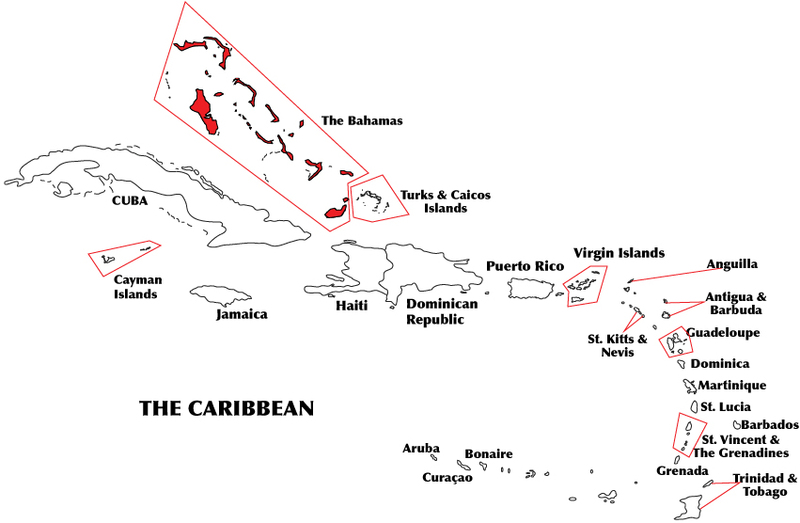 IQ and the Wealth of Nations (2002) does not have a study for The Bahamas, but estimates an IQ of 78 by using the score from Barbados (p. 74). IQ and Global Inequality (2006) estimates an IQ of 84 by averaging the scores from Cuba and the Dominican Republic (p. 55), and this is the estimate still reported in the most recent book (Lynn & Vanhanen, 2012, p. 20). Here I discuss measured IQ data for The Bahamas from two different studies. Pandora Johnson organized a large and representative sample of Bahamian secondary school children in 1987 (Johnson, 1988 ). Johnson collected data for 2nd and 3rd year students from 20 of the 36 high schools in the nation. In all, 694 adolescents were given the Otis-Lennon School Ability Test. The average IQ of the 20 different high schools was 95 (p 72). The scores were converted on test norms from 1979, requiring a -2 point adjustment for 8 years of norm inflation. This gives us an IQ of 93 for The Bahamas. Data is not reported by race, and, in fact, the author asserts upfront that “social background” is a much more probable correlate of disadvantage in the Bahamas than ethnicity (p 10); suggesting the author either does not believe there are significant racial inequalities in The Bahamas, or that she believes any such gaps are incidental. Johnson’s only other mention of race in this 300+ page report is to note how the highest performing school in the sample, Kirklyn Academy, is also overwhelmingly white: “For the most part … the population of the school is white and the children come from wealthier homes.” (p. 145) and “With the exception of one person, the teaching staff is white. The only nonwhite personnel in the high school seem to be the support and maintenance staffs.” (p. 147). Johnson & Holmes (1995 ) further note that the 75th percentile of Otis scores in this sample is 101, and report a rather narrow standard deviation of 9. The correlation between IQ and school GCE exam performance is reported as .62, while the correlation between IQ and average school socioeconomic status is .63 (p. 44). A second, and considerably smaller study finds a lower IQ for The Bahamas. Judith Tynes-Jones (2005 ) collected Wechsler Intelligence Scale for Children data for 29 Bahamian children, ages 6-16, in 1999. The average IQ from the three WISC sub-tests administered by Tynes-Jones is 83. Since the reported standard scores were calculated on norms from 1991, this requires a -2 point adjustment, giving us an IQ of 81. A weighted average of Johnson (1988) and Tynes-Jones (2005) gives us an IQ of 93 for The Bahamas. Johnson, P. (1988). Effective secondary schooling: factors affecting academic achievement in the Commonwealth of The Bahamas. Unpublished doctoral dissertation, University of Toronto, Canada. Johnson, P., & Holmes, M. (1995). School effectiveness in The Bahamas. College Forum, 7, 29-47. Tynes-Jones, J. (2005). Applying the Bio-Ecological model of intelligence to the Wechsler Scales in The Bahamas. College of the Bahamas Research Journal, 13, 68-80. The “neither black nor white” (roughly) 2% is made up of (Afro-European) mixed race people, but the Asians are a much smaller percent. I believe the link below is a primary source for the 2010 Bahamas census. It has blacks at about 310,000 of a total 350,000 (which should be about 90%). Whites are about 16,000, which should be about 5% (with other ethnic categories at much less; mixed race black/whites at about 7,000, which should be about 2%…). So sources citing it thusly are are apparently correct. Correction: Blacks at about 318,000 (of total 351,000) which is about 90.5% of the total as mentioned, whites at ca. 16,000, mixed race black/white ca. 7,000, mixed black/other ca. 2,000, Asian and Indian roughly 3,000.